This Gouda macaroni and cheese is a delicious baked macaroni and can be made ahead as a freezer meal too! Until recently I always *thought* that I had a good Macaroni and Cheese recipe. Then, my good friend Heather introduced me to this amazing recipe. She also taught me all her trade secrets such as adding Gouda! Today I’m sharing her version of this amazing dish! I should note that when I made this I was making it for a wedding shower to serve over 30 people, so I TRIPLED the recipe! By tripling the recipe this filled four foil pans. It froze so deliciously that I think anytime that I’m going to go through all the steps again I’ll do the same thing. 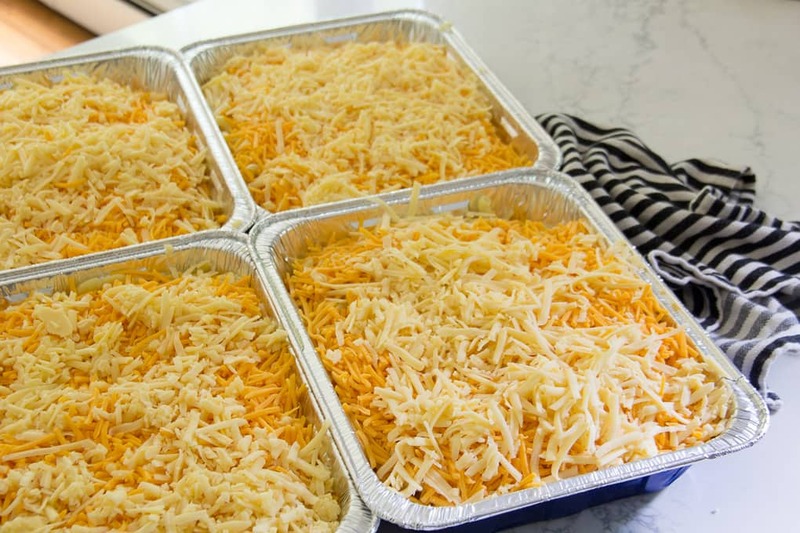 The thing that makes this recipe different is that you cook the noodles, then add your shredded cheese over the noodles. Then you make the sauce without cheese and pour that over the pan of noodles and cheese. Both of my boys helped with this and were so proud of their results! Sprinkle shredded cheese over pasta. Melt 1 stick of butter, whisk in flour. Add Salt and Pepper. Pour in milk. Heat on a low boil, constantly stirring until thick. Probably about 20-30 minutes. 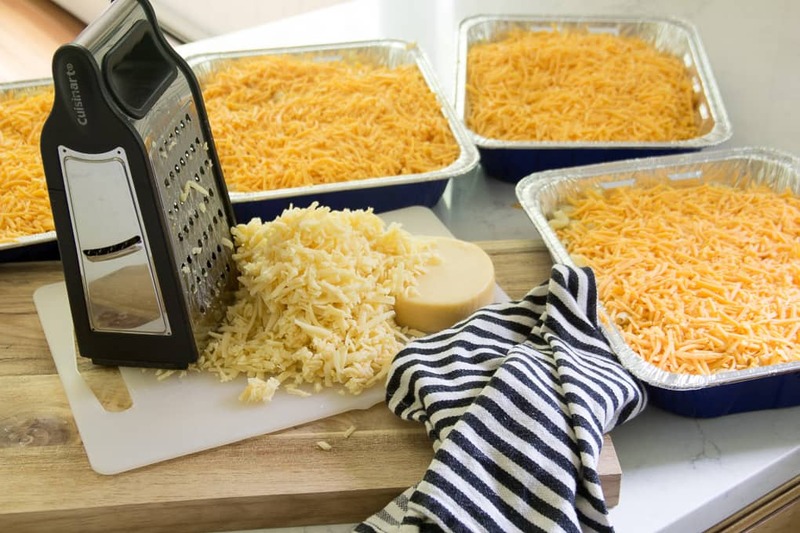 Remove from heat and pour over shredded cheese and pasta. Mix until combined. Melt 2 T. butter in frying pan. Add Panko Crumbs and cook on medium until lightly browned. Pour over pasta and cheese mixture. 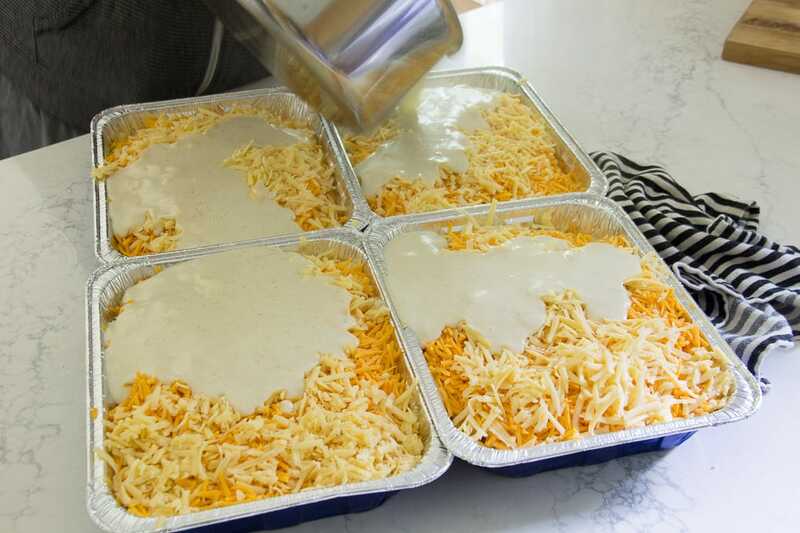 Either cover with foil and freeze or bake at 350 degrees for 20 minutes. 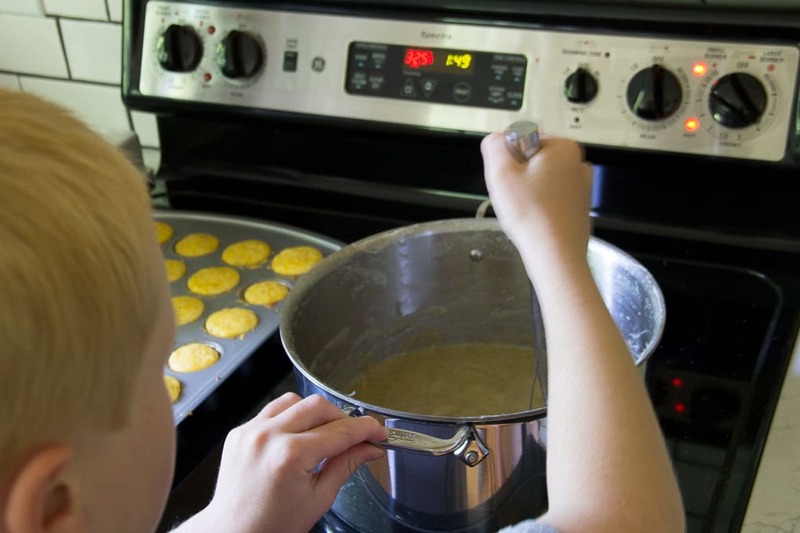 To cook from frozen either thaw and bake at 400 degrees for 1 hour, or bake from frozen at 450 degrees for 90 minutes. Once it’s bubbling in the middle it’s done! 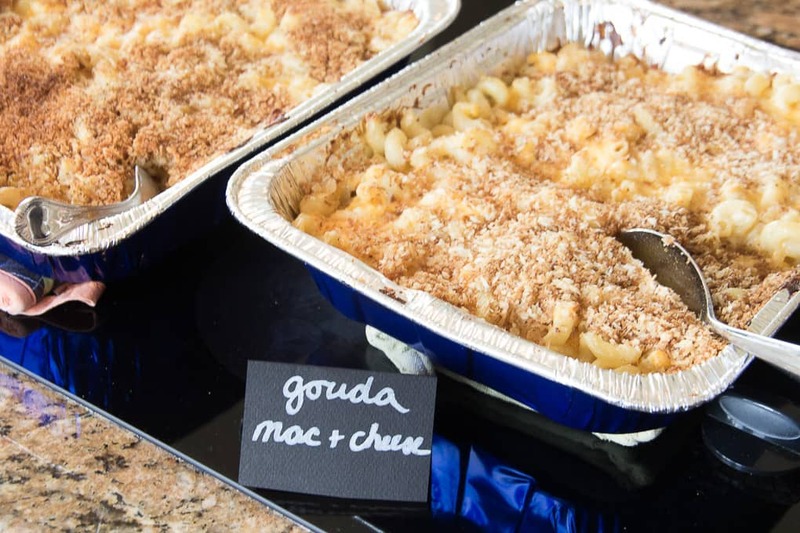 Because Heather had served this macaroni to me with Gouda, that’s the same way that I did it, and it was a total hit. I was thinking it would also be really good with Gruyere or Muenster too though. After pouring the sauce on the cheese and noodle mixture, it’s as simple as just mixing the sauce in. 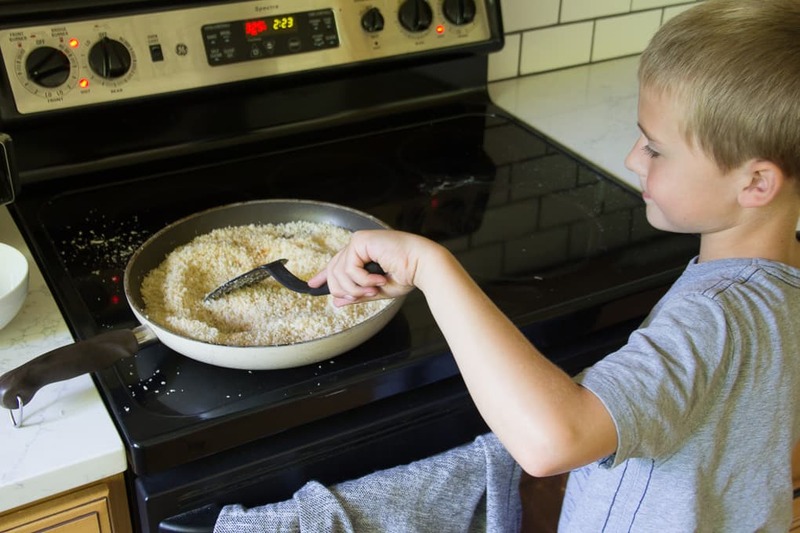 My little guy helped me cook the Panko crumbs to a nice golden brown. Only a few Panko crumbs were thrown overboard in this process! 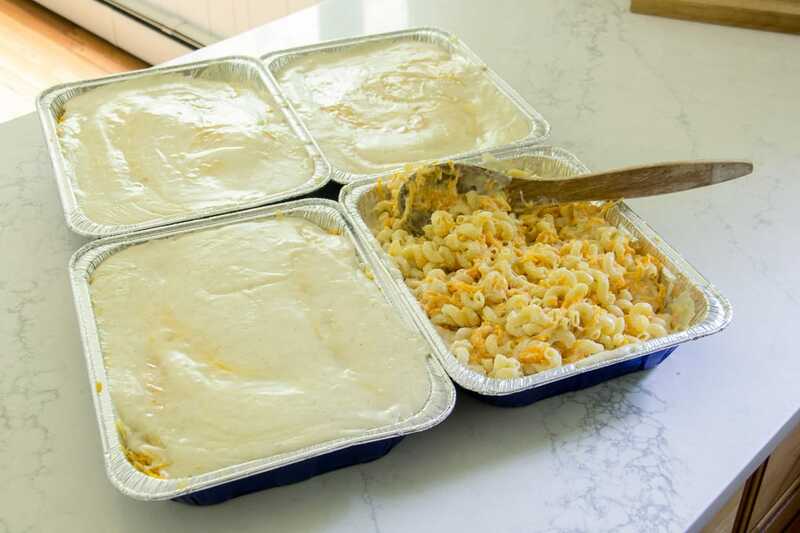 I ended up freezing all four pans of macaroni and then baking them about a week later to serve at the shower. 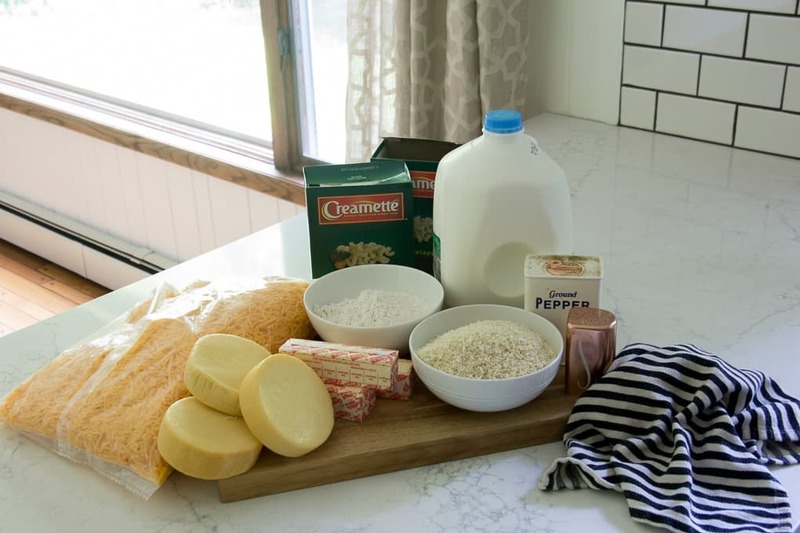 This method worked really well and the macaroni got raving reviews! 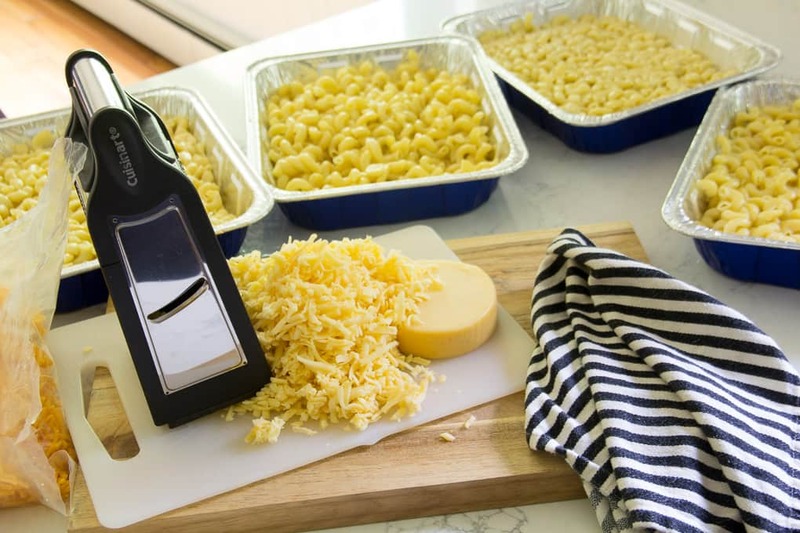 If you’re hoping to up your macaroni I hope this post inspired you to try a new recipe!